Jenny Diski – ‘Another’ Cancer Diary? The first instalment of Jenny Diski’s reflections on her recent cancer diagnosis has appeared in The London Review of Books (http://www.lrb.co.uk/v36/n17/jenny-diski/a-diagnosis). I have always loved Diski’s writing (Skating to Antartica particularly). I read the current article – ‘A Diagnosis’ – with sadness, but also with joy. It is vitally Diski – funny, brave and real – and I am grateful that when faced with the challenge of dealing with her recent cancer diagnosis, she decided to share her experience. Yes. Diaries afford the possibility of witnessing the experiences of others, and although experiences may overlap and share some similarities, each individual one is unique and invaluable as a direct result of its very subjectivity. Thus, each personal experience is by definition original and irreproducible. The value of reporting such experiences is that, although we cannot truly share them, as invited readers we can listen, witness and hopefully affirm the living of another. Michael Palin speaks of diaries as the antidote of hindsight. Which they are, and as the nearest expression we can get to the possibility of understanding what it might be to exist in someone else’s shoes, they can be the most invaluable and authentic of literary forms. Especially from Jenny Diski’s pen. ‘I am and have always been embarrassed by all social rituals that require me to participate in a predetermined script’. In the face of her diagnosis and all its inherent challenges, Diski answers her own question ‘why another cancer diary’. She is a writer. It is what she does. I love The Shed, a temporary (or at least that is what I assume…) theatre on the Southbank, which successfully manages to combine impressive creativity with the intimacy of a small(er) venue. 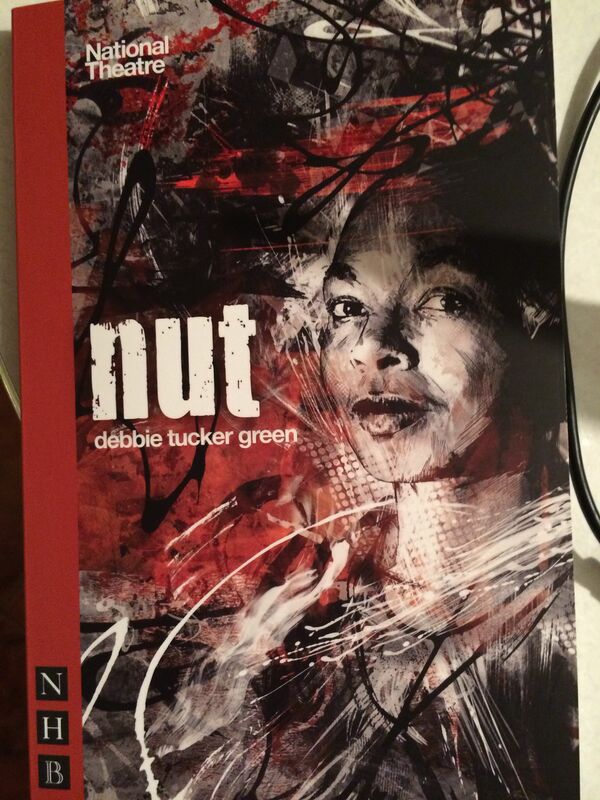 nut, by debbie tucker green (lower case deliberate), which currently plays at The Shed, exemplifies this achievement. Relatively short at just 75 minutes, nut is a moving, unsettling, and thought-provoking poetic piece. Twenty-four hours after I saw it, I am still considering what it was that I experienced last night. On one level, the play might be read as a relatively straight-forward narrative, but then, it isn’t. The central character is Elayne, who we are introduced to at the outset as she plans her funeral. We gather that Elayne is on medication, and we presume that this is for a ‘mental illness’ as self-harm is revealed. Elaine is never alone on stage. This is a polyphonic piece, and throughout the play we are introduced to 6 other voices and characters, all of whom are integral to Elayne’s life. What is less clear, is whether these others are external or internal to Elayne’s world and psyche. 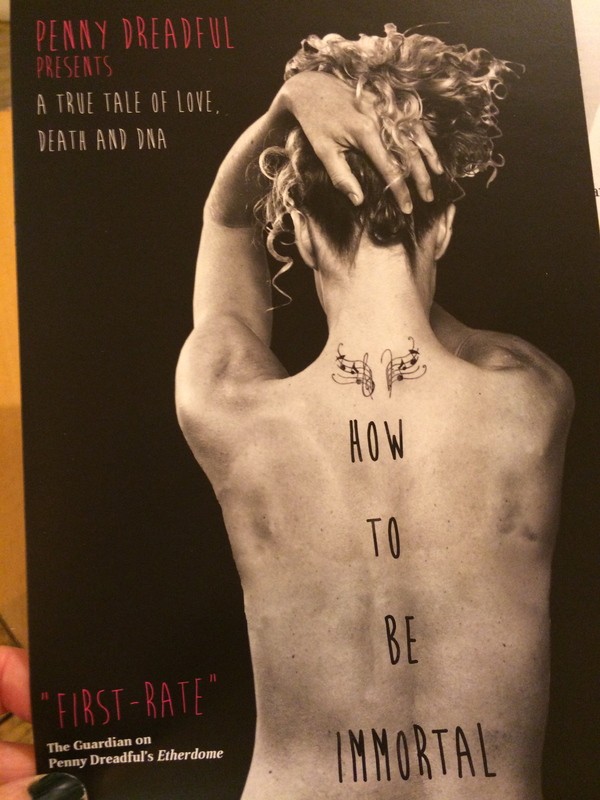 Whichever, it matters little as we watch a fragment of Elayne’s life (and suffering) unfold before us. I loved how the dialogue overlapped, creating a seamlessness between all the characters. Elayne’s world, with all its ‘players’, felt tangibly real, and authentic. The acting was hugely and uniformly impressive throughout. Amidst the pathos there is also much humour, and we laugh, when invited to do so. nuts is a mysterious piece, mysterious in the sense that it is obtuse and delivers no easy answers. That is also its strength, as it thus reflects the lived complexity of life, which is never straightforward. ‘…If there ent no bell. People get confused. No bell is like no interest. Not interested. …which is a quote from Anna Quindlen, the Pulitzer Prize winning journalist, novelist and essayist. But her question does not in any way relate to her hugely impressive CV and achievements. Rather, it stems from her encounters with healthcare professionals, which has prompted her reflections on the extent to which she was seen as an individual in that context, as a person rather than as ‘just another patient’. The writer was recently invited to deliver the Humanism in Medicine lecture at the Association of American Medical Colleges (AAMC) annual meeting (http://humanizingmedicine.org/anna-quindlen-advises-physicians/). Quindlen’s question – “Do you know who I am?” – arose from her experience of two separate medical encounters, both involving anaesthesiologists. The first was patronising (my judgement call), and left her doubtful as to whether he knew anything about her or about her previous history. But gender distinctions are not the point. Instead, what Quindlen wants to get across is that she felt ‘seen’ by one professional, and not by the other. Quindlen sees the problems in health care – patients feeling ignored, isolated, patronised – as part of a larger societal problem. Power relationships wherever they occur, and which too often underlie the doctor-patient encounter, ‘foment fear and mistrust and alienation’. She speaks of the ‘MDeity’, doctors as little gods, and is surprised how pervasive this remains, despite huge technological and other advances. Quindlen’s conclusion is that in the end, the person – the patient, the sufferer – seeks and needs ‘the human touch’, to be seen as an individual, and to be considered as such.